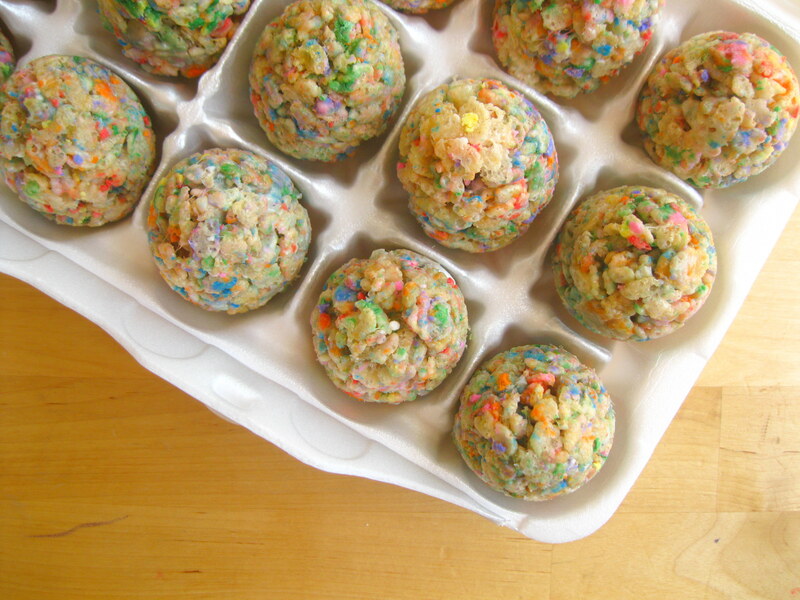 Homemade Rice Krispy Easter Egg Treats: yep, these were awesome. Afterwards we polished up and headed over to my Gramma’s to hang out with my awesome family and eat copious amounts (that is an understatement) of good food. What is it about holidays that causes so much overeating to take place? The amount of food I ate just for dinner yesterday is comparable to how much food I might consume over the course of 24 hours on a normal day. Oy. This morning as I reluctantly scribbled down a meal plan I wanted to think of anything but food, as I now have a foodbaby AND a food hangover. From now on I will refer to Easter as “Feaster”, a term my mom’s friend Beth threw out there as I complained of my terrible, horrible, no good, very bad too-much-food-blahs this morning on Facebook. Thank goodness there are months of recuperating time between large food holidays like Thanksgiving, Christmas, (F)Easter and the 4th of July. Otherwise my stomach would be curled up crying in a corner somewhere right now. Time to eat a lot of salad, dig out the 30 Day Shred dvd and hop on that wagon again. Gah! 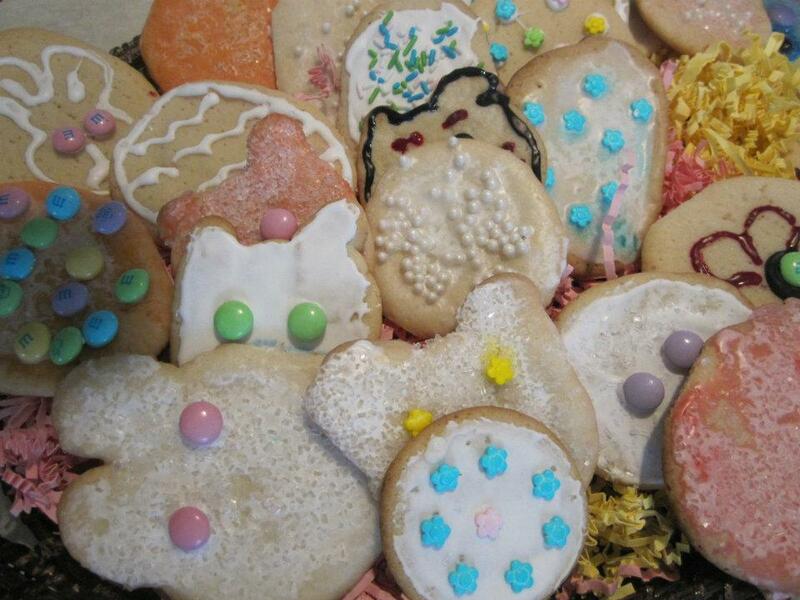 More food: adorable cookies made by my cousins! How do you recover from holiday overeating? Share with us in the comments section below! This entry was posted in Menu Plans and tagged baking, breakfast, cooking, dinner, DIY, Easter, food, frugal, frugality, home, homemade, kid friendly, kitchen, life, lunch, meal plan, meals, meatless, menu, menu plan, overeating, recipes, saving, snacks, vegetarian. Bookmark the permalink. This entire weekend was a mess…eating habits…err more like, drinking habits, were very poor…today I am eating a juice blend for lunch to apologize to my body. I am so sad I did not know ahead of time about the pretty rice krispies treats! Yours turned out so pretty! And baking the brown rice is purdy smart. I’ve taken to scrapping the salt and water when I make mine stovetop and just using low-sodium chicken broth. Lotsa flavor! The rice krispies treats are great! They are actually better for kids than all the cream filled chocolates too. Healthy solutions haha well more healthy at least.